A woman once murdered her baby son because he interrupted her while she was playing FarmVille. How addicted are you to Farmville? Would you shake your baby to death, just because his crying is not allowing you to play the game on Facebook? A mother in Florida has been charged with the crime of shaking her son to death, which is a second degree murder. Alexandra V. Tobias is a 22 year old mother arrested in the month of January for murdering her 3 month old baby named Dylan Lee Edmondson. During the interrogation, Tobias told the investigators that she got angry because she wanted to play Facebook’s Farmville on her computer; her son did not stop crying even for a single minute due to which she was constantly interrupted. Since the crying baby got on her nerves and since she was in no mood to feed him, she shook him. To calm her anger, she smoked a bit and waited for the baby to stop crying, but when he did not, she picked him up and shook him again and during the second time, the baby either hit his head or died due to constant shaking. This Jacksonville resident is facing a lifetime imprisonment, now; however, according to the Prosecutor Richard Mantei, the sentence of the woman may get decreased due to the state guidelines. Mr. Mantei stated that the plea will never have a jury trial and hence, the family will not have to go through the same story over and over again. 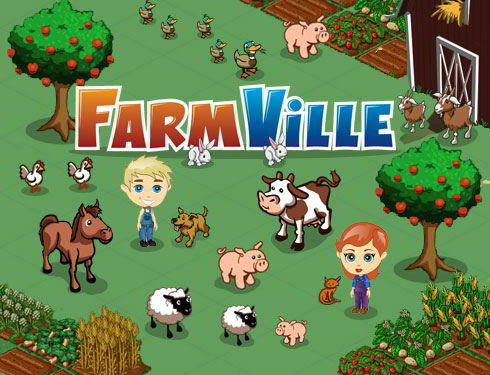 Farmville is one of the most popular applications on Facebook and also the most addictive one. It has more than 60 million users at the moment and a lot of new users keep adding, every single day. Most of the people admit their addiction for this game, since it not only helps them pass their time, but also keeps them entertained. Previous articleSome of the weird bans around the world.